A G30 For All Occasions. Callaway has a campaign out there right now called “Pathway to Distance,” the thought being that there are only a few ways to gain distance with the driver and they have a driver for each category. I hate to parrot advertisements, but there is some truth to what Callaway is saying. We are running out of ways to get longer with the driver. The spring of the face has been maximized. The size of the club head has been maximized. So, the bad news could be, if you have an R11s, or a G25, or 910D3 and you hit it consistently with low spin you probably aren’t going to find much distance in a new driver. The only way to gain distance anymore is by reducing the spin for a high spin player, or to give a vastly more forgiving club to someone who is not a consistent ball-striker. For me, that puts drivers into two categories. Easy to Hit and Low Spin. 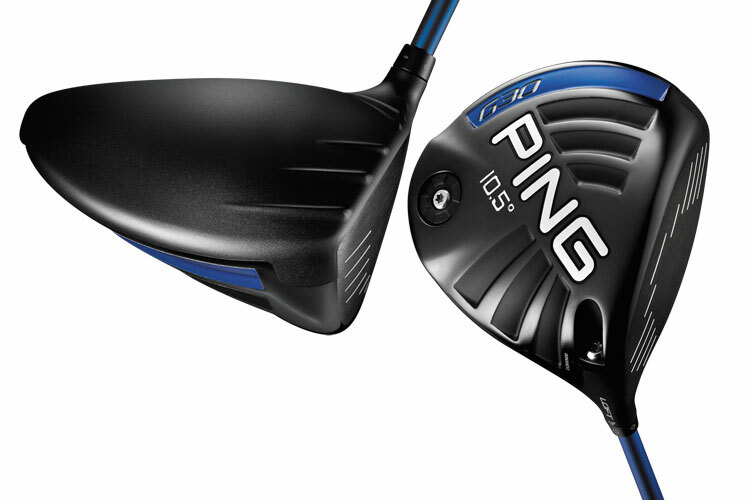 Ping took a really forgiving driver in the G25 and improved on it with the G30. I can’t honestly say I’ve seen the turbulators add a lot of club head speed for many golfers, but the performance across the entire face of the G30 is remarkably consistent. The SF Tec head, which stands for Straight Flight, is a draw-biased head that will help slicers a good bit more than any hosel adjustment. Elsewhere, the Nike Vapor lineup has some of the best feel I’ve felt on a driver in years, and the Aeroburner is a no-frills, non-adjustable offering that with remind you of the originall RBZ. Note 1: These rankings are based not on my preference, but on the ability of the club to reduce spin for a golfer who makes no other changes. 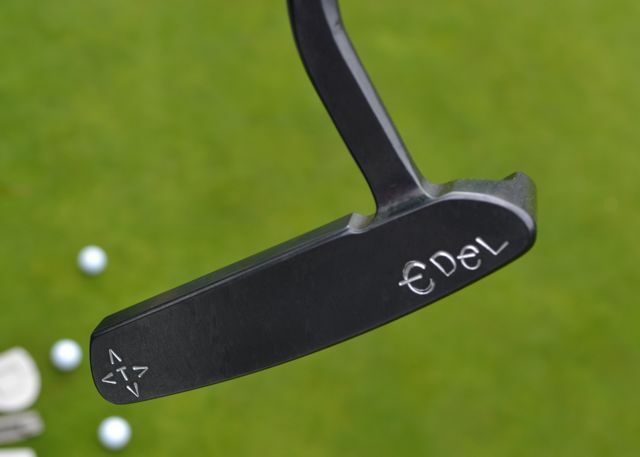 Note 2: The rankings omit the still unseen Titleist 915 D4. 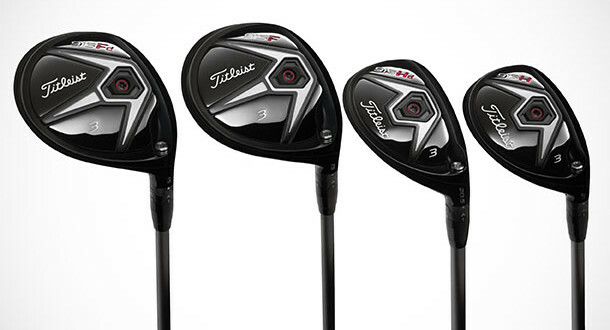 The Titleist 915 D2 and D3 are both very good drivers, but don’t quite make either list. Neither is the most forgiving and the D3 cannot compete spin wise with some of these other options, but the drivers would still fit many players. Taking away spin is all about sacrifice. How much forgiveness can you give up? What about launch angle? I prefer the drivers on the lower portion of this list and the 915 D3, because I launch the ball quite low. The G30 LS Tec launches like a low knuckleball for me and rolls for days, but I don’t carry it anywhere. But, take someone who easily launches a driver at 13-16 degrees and the club can turn into an absolute cannon for them. The Double Black Diamond is the least forgiving head on this list by a margin in my opinion, but if you must reduce your driver spin, it is a must try. And, TaylorMade is back this year with a much better line of drivers. The R15 has all the positives of the SLDR, but is much easier to hit for a mid-handicapper. If you happened to stumble upon this post from last year, you would have seen me touting the Bio Cell Plus as last year’s surprise driver. For me, it was one year ahead of its time. Very low-spin, but not impossible to hit. This year’s Cobra offerings, the Fly-Z series, is still quite good, but perhaps suffers from comparisons to the Bio Cell, which felt like a real jump in technology. So, this year’s Bio Cell for me is the Nike Vapor Flexflight. I picked this driver up with almost no expectations. 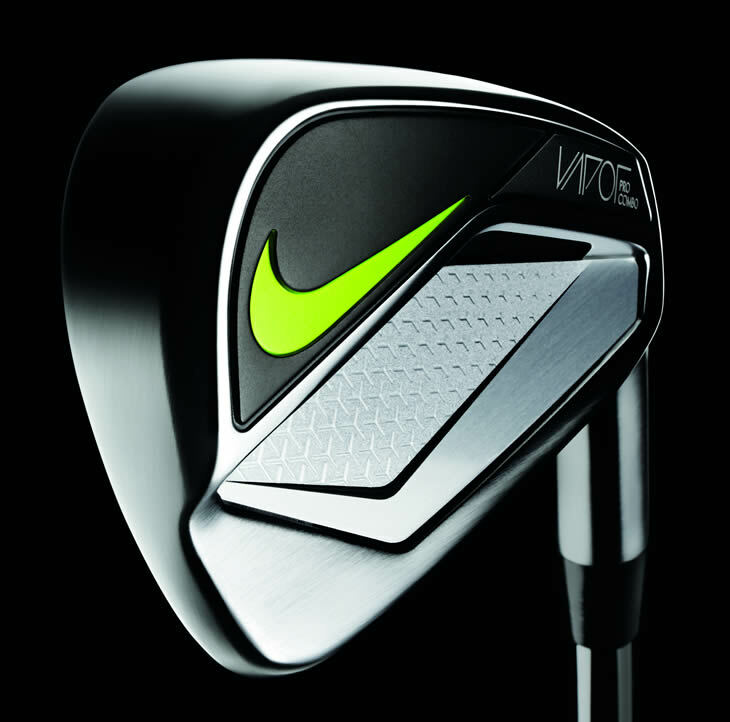 There is no bigger Nike equipment hater, so I wasn’t surprised to not like the decal on the head or the stock shaft offering. Then I hit the club. It feels like you are crushing it–every time. It launches easier than the Ping, or the Bertha and keeps the spin lower than the R15. It’s not markedly longer than any other driver, but for me it was a lot easier to get my best hit out of it. Put it, or any of the Vapor family in the running is all I am saying. Oh Mizuno, You Little Devil. 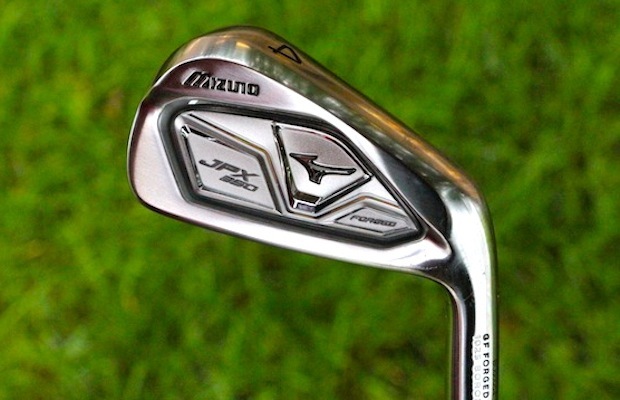 Mizuno has always made great irons, but many of their offerings had always been a bit penal for me. Please see my failed MP-14 Experiment of 2003, and they tend to only offer one game-improvement club that was too far on the other end of the spectrum for my taste. So, while the MP-15 is a great iron and the MP-4 is a leading blade, I’d never have them even if I was about to spend $1000 on irons. The 850 Forged is a different story. Small enough to feel like you’re playing a real Mizuno, but you don’t immediately lose 20 yards if you’re 1/8″ off the sweet spot. Plus, Mizuno has a great shaft program going, where you can pretty much get anything you want–short of Steelfiber–for no upcharge. The Callaway Apex line is a carryover from last year, but still a must try for anyone who wants forged distance. The RSI TP and Vapor Pro Combo are both EASILY longer and more forgiving than the AP2 and feel incredibly solid as well. I had a conversation with a Callaway rep a couple weeks ago and we were talking about the stronger lofts of modern clubs. The constant refrain on these news clubs being, yeah you hit your pitching wedge____yards, but it’s 44 degrees! What they told me is that while the decreased loft does add distance, they are fitting trajectory windows. If you picked up an 845 PW (48 degrees) and and G30 PW (45 degrees) you would likely hit them on a similar trajectory. A 48-degree modern club would go straight into the air. So, for game-improvement sets, the stronger lofts are a good marketing tool, but also a bit of a necessity. Which brings me to the Callaway XR. It’s a 44 degree PW! But, I’ve never seen people consistently gain distance with a club as much I’ve seen with this one. If you want to hit the ball longer, this is your first stop. I have no doubt it’ll be the iron of the year and continue TaylorMade’s woes. The rest of the clubs on this list are all good, almost laughably good on mis-hits, and you really couldn’t make a bad decision with any of them. No real advice here. Pick your price point, and try out those hybrids. A good mid-priced option if you can find a set around is the Callaway Edge from last year. Very easy to hit/high launch. Unfortunately discontinued. I’d love to see people get a little less distance oriented with these clubs. Consistency and trajectory are so key. A 3w going 260 is great, but how much of that is roll? How often is that hybrid going a mile left? Unless you cannot hit a driver, I wouldn’t use distance as a deciding factor on a fairway wood. Also, the 3-wood is becoming a bit like the 3-iron for average to below average players. A lot of them would be better off going to something with more loft, a 4 or 5-wood. This can also save you money or save you some room for an extra wedge. Titleist gets the nod here for taking a big step forward from the 913, while also offering two different shapes and a mix of stock shaft offerings that should fit most players. This is a nice feature, even though, I am tired of hearing, “Is that a real white board?” If you have to ask….Anyway, the 915 brings competitive distance and ball speed to the always reliable look and consistency of Titleist. If you are thinking distance the XR and AeroBurner are both very long and high swing speed players should not be scared off by the Aeroburner line–try the TP shaft. Ping and Adams offer incredible forgiveness and easy to launch options. If You Must Try Something New.